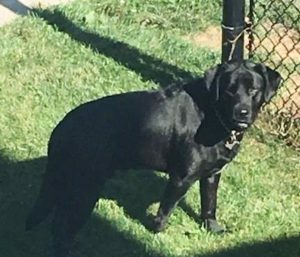 Additional Notes: SIGHTED: MALE: Labrador Retriever or mix, black coat, slight white blaze on chest, wearing a dark collar with a tag. Did not want to be approached. Sighted roaming on Sept.15/18.